Think you know about the paranormal? Why not challenge yourself and take the Ghost-Story.co.uk Halloween quiz! We have 10 fiendishly difficult questions for you to answer. Good luck! 1) What name is Halloween also known by? 2) Which world famous haunted building is this? 3) In the urban legend of Bloody Mary, how many times do you have to recite her name in front of a mirror before she is summoned? 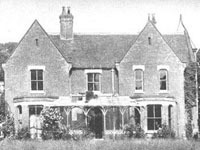 4) A decade before the world famous Amityville and Enfield poltergeist cases came to public attention, Europe's most violent haunting, took place in the town of Pontefract. 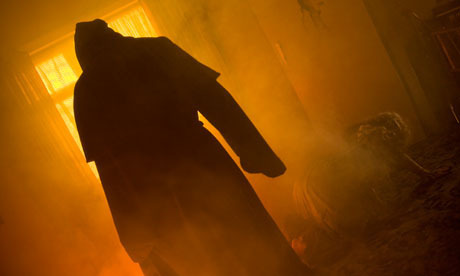 The subject of the haunting later became known as The Black Monk of Pontefract, but which film was based on the haunting? 5) Queen Anne Boleyn was beheaded in 1536, but which English residence does she haunt? 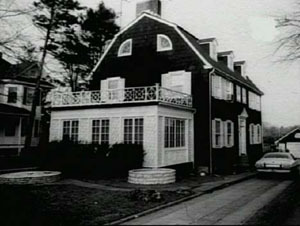 6) Jay Anson wrote which best selling book published in 1977 about the events that took place in 112 Ocean Avenue? 7) Which of these is NOT a sign that your house could be haunted? 8) The 1978 film Halloween starred which iconic hollywood character? 9) Which of these physical characteristics are NOT signs of a werewolf? 10) Which Catholic Pope first acknowledged the existence of witches in 1484? Click the button to grade your test. Results will be displayed here.